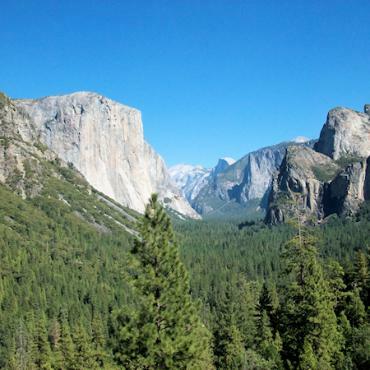 Iconic cities, scenic drives and jaw-dropping scenery in some of the USA's most incredible national parks are the order of the day on this exciting motorhome adventure through California, Utah and Nevada. On this relaxed, pre-planned motorhome holiday you'll travel with the knowledge that some of the most sought-after pitches and sites in the USA have been pre-booked for you. The relatively short driving distances that we've included on this motorhome holiday also ensure that you'll spend the maximum amount of time enjoying the amazing scenery that this region of the USA has to offer. Comprehensive motorhome package including unlimited mileage, personal kits (blankets, sheets, pillows, towels), kitchen kit, full tank of LPG gas, WC starter pack (paper and chemicals) and supplementary liability insurance. Personalised trip documentation that provides day-by-day driving instructions for road and highways suitable for motorhomes, comprehensive list of things to see and do en route and full campsite details. Pre and post stays are available on this itinerary. Prices are guideline, please call for the cost for your preferred date of departure. For further details on our North America Pre-Planned Motorhome holidays click here . 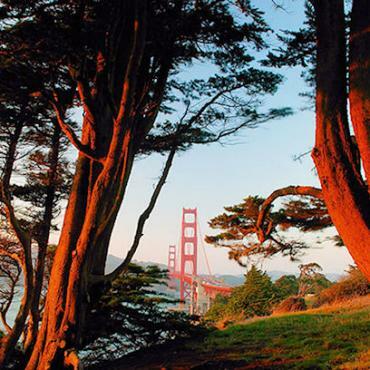 Arrive early evening into San Francisco and spend the night at a 4 star airport hotel prior to starting your motorhome adventure on Day 2. 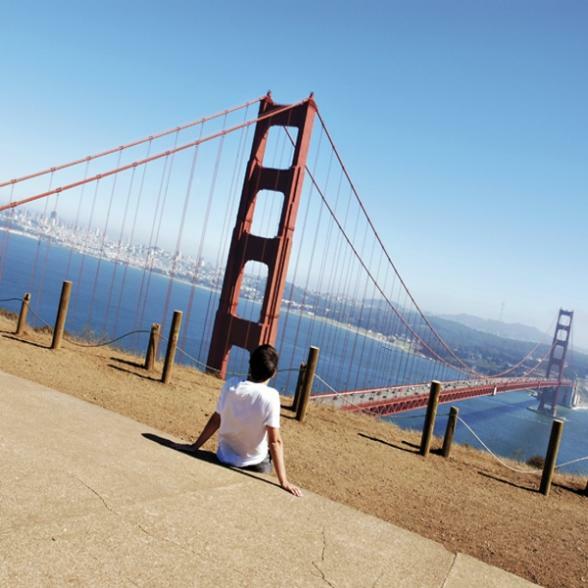 You may decide to spend a few days in San Francisco prior to collecting your motorhome, call Bon Voyage to extend your stay in The Beautiful City on the Bay. You'll be collected from your hotel and transferred to the motorhome depot mid-morning. 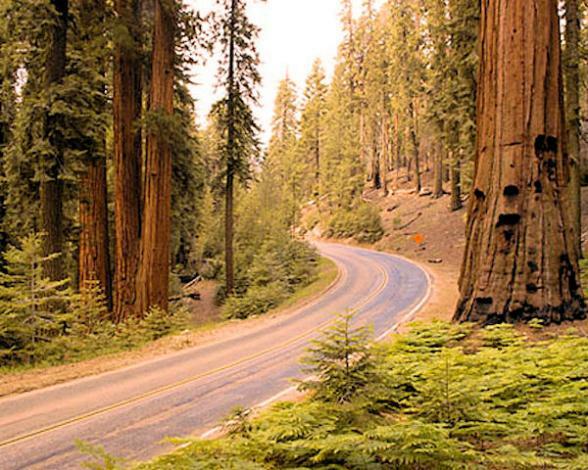 After the friendly staff at the depot have shown you around the vehicle and answered any queries you may have, it's time to hit the open road and head south along one of the USA's most scenic drives - Highway 1, The Pacific Coast Highway. Your campsite for this evening is located across from the Pacific Ocean and just minutes from famous Pebble Beach and the world renowned Monterey Bay Aquarium. A must-do in this region is the 17 Mile Drive, as no motorhomes are allowed along this scenic route, let Bon Voyage pre-book you a tour on push bike. Continue along Highway 1 today. 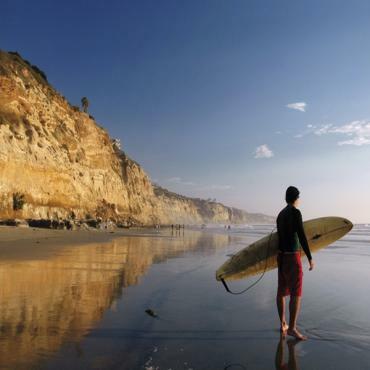 Take the whole day to enjoy this part of the California Coast. 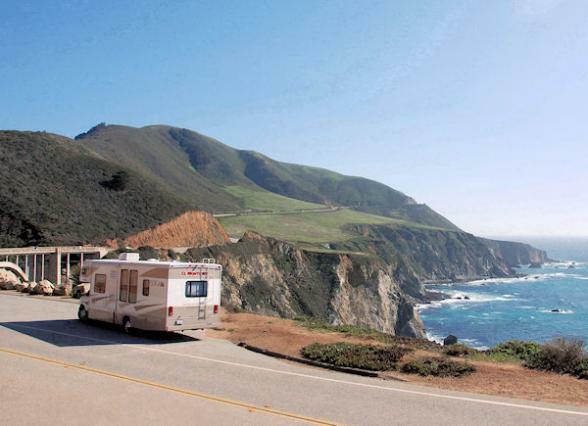 Here from the comfort of your motorhome you'll view a dramatic, rugged scenery and sweeping ocean vistas. There will be loads of places to stop and take photos. Look for sea otters in Point Lobos, take a short hike to the cascading waterfall at McWay Falls, or enjoy a picnic at Morro Rock whilsting watching the sea lions at play. 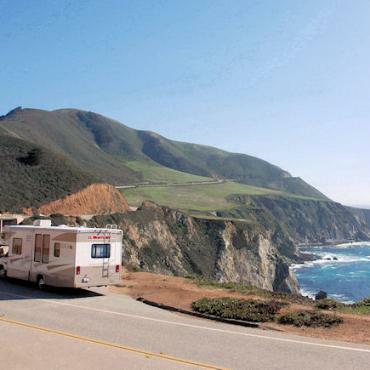 Your trip documentation that comes with these Pre-Prepared Motorhome holidays provides day-by-day driving instructions for road and highways suitable for motorhomes and comprehensive list of things to see and do along the Pacific Coast Highway. From your campsite on the outskirts of Santa Barbara you can enjoy hiking trails, a refreshing dip in the pool, ocean kayaking, surf lessons and horseback rides. Your campsite base for the next two nights is Anaheim, Los Angeles. 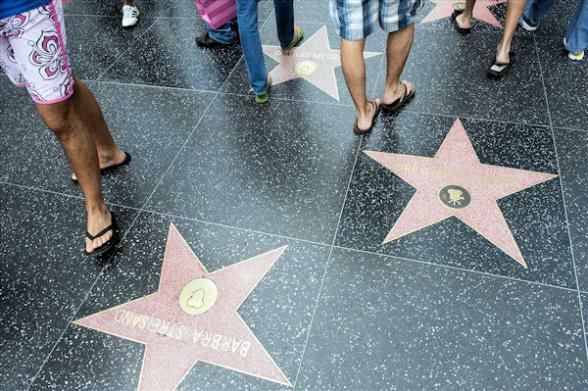 From here you can visit Hollywood, Beverly Hills, Santa Monica, Rodeo Drive, Universal Studios, Knotts' Berry Farm, and of course, Disneyland. 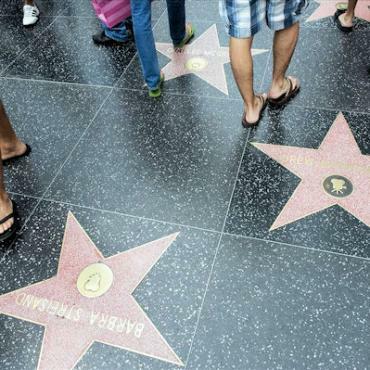 Your trip documentation will provide a full list of fun things to see and do in this lively part of California. Head east from Los Angeles today on your motorhome adventure towards the Mojave Desert. Your overnight campsite stop is near the Ghost Town of Calico. 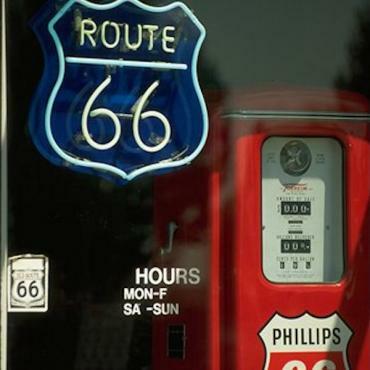 En route be sure to visit Peggy Sue's Diner, Old Woman Meteorite the California Route 66 Museum at Victorville and The Mother Road Museum in historic Barstow. There are some rather splendid Factory Outlet stores near Barstow where you may wish to stock up on designer bargains. For a glimpse into the Wild West past, a stroll around Calico Ghost Town is a must-do. 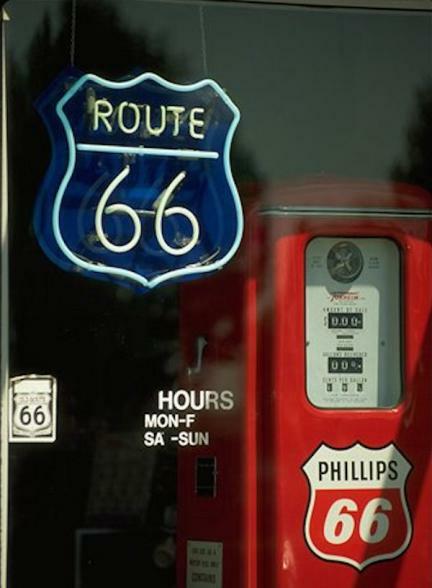 Enjoy a bit of nostalgia today with a cruise in your motorhome along historic Route 66 and through the towns of Ludlow, Amboy and Essex en route to your next overnight stop in Lake Havasu, Arizona. This was one of the first planned communities in the USA and home to London Bridge. 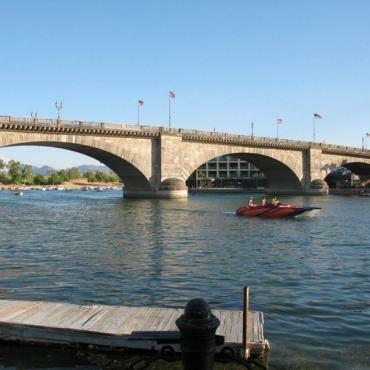 Not THE London Bridge but a 130 year old one purchased in error by Robert P McCulloch who thought he was getting the real deal. 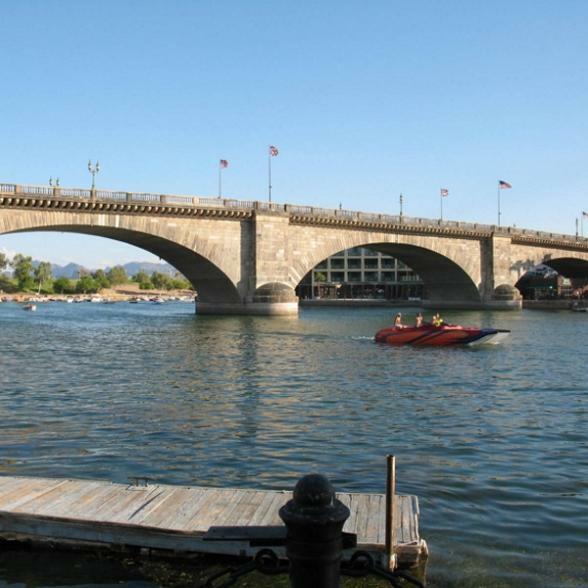 Spend time at your campsite relaxing by the brilliant blue waters of the lake, in the Lake Havasu Wildlife Refuge or by the campsite's swimming pool set in beautifully landscaped grounds. 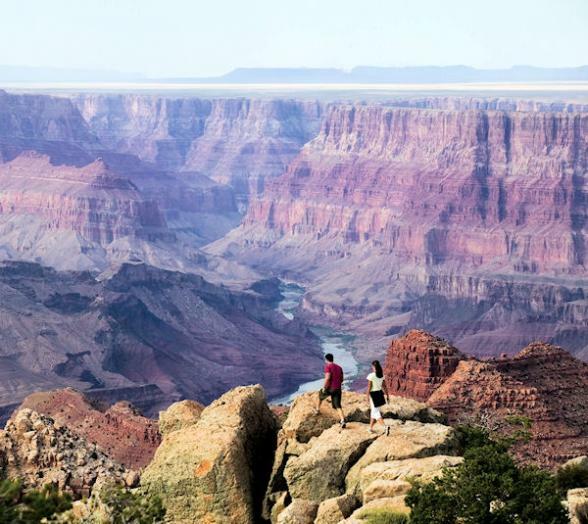 Today you'll get to experience the mightiest of all national parks - The Grand Canyon. Averaging 10 miles wide and over a mile deep, view nearly half of the Earth's 4.6 billion year history in its exposed rocks. A geologist's dream. 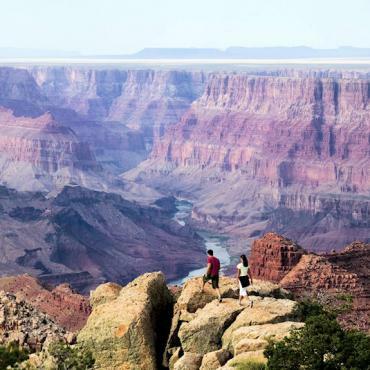 You'll spend two nights in a campsite located right inside Grand Canyon National Park. Shuttle buses run every 15 minutes from dawn to dusk to the village and along the rim. Ranger and star-gazing progammes are available. Your trip documentation will provide you with plenty of ideas and suggestions on how to make the most of your stay in this truly awesome place. Today you'll say farewell to Arizona and Hello Utah. Boy, do we have some jaw-dropping scenery in store for you today. 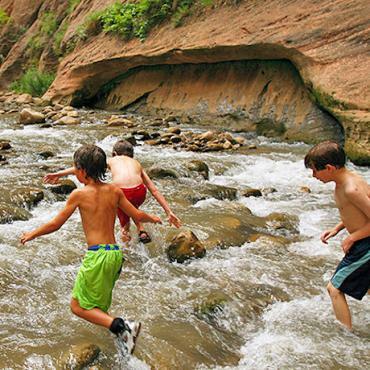 You'll cruise to your next stop, Zion National Park, via Lake Powell, the second largest man-made lake in the USA. Stop for a picnic and a dip in the lake before heading to the Zion - Mt. Carmel Highway. This beautiful drive drops 2,400 ft. by way of a series of switchbacks, take this drive slowly - you won't want to miss a thing. Your campsite for the next two nights is located inside the national park. From here you can hop on the shuttle to explore the park, stroll to the Emerald Pools, or enjoy a challenging hike along Angel's Landing. 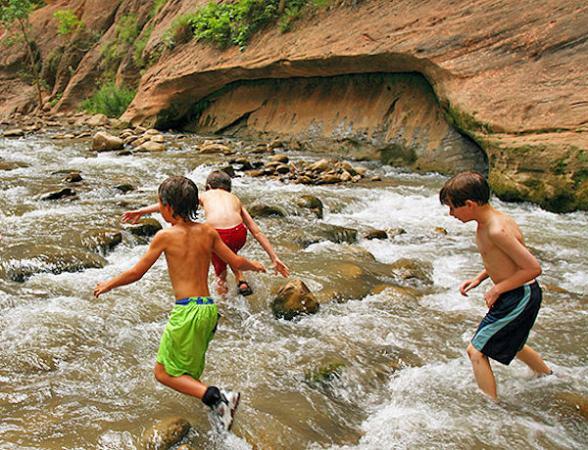 Your motorhome trip documentation will detail the best places to visit during your stay in Zion National Park. Leave behind quiet and peaceful Utah today and head into Nevada and totally O.T.T Las Vegas! 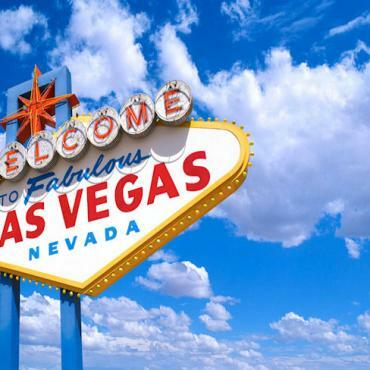 Your campsite for the next two nights is located off the famous Las Vegas Strip and is attached to a hotel and casino. The hotel runs a shuttle into the heart of the Vegas. 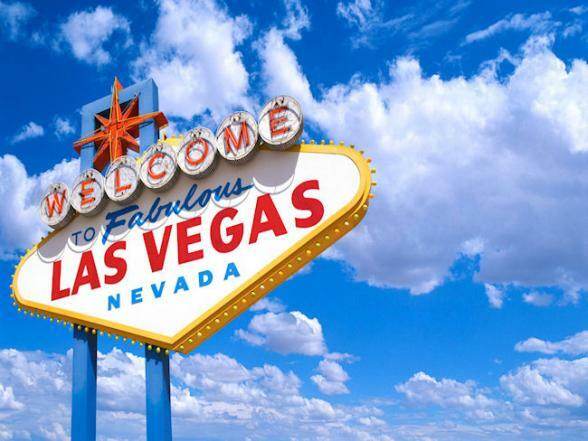 If the neon lights of Vegas aren't your cup of tea, jump into your motorhome and explore nearby Lake Mead, Hoover Dam or Valley of the Fire. 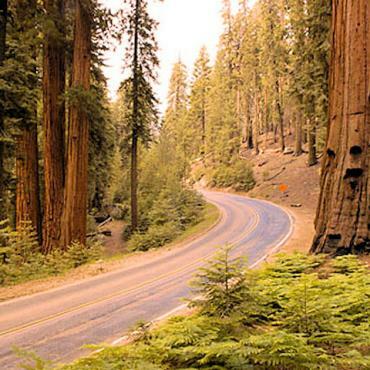 It's a long but rewarding drive today as you head back into California and the towering Redwood trees of Sequoia National Park and King's Canyon National Park. 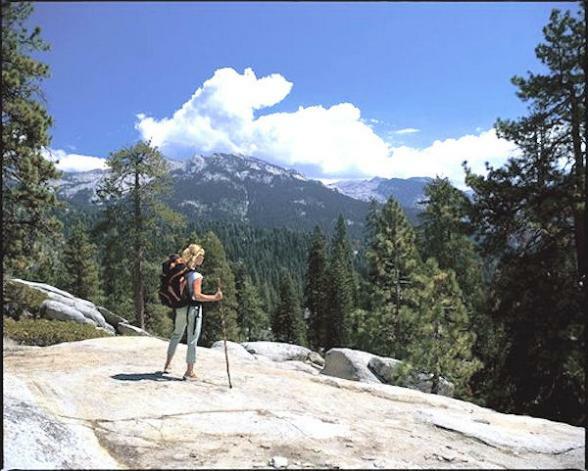 During your two night stay in this region you'll be able to explore alpine high-country lakes, bathe in mountain streams and view the grandeur of these Redwood giants as you hike easy trails through the woody groves. Please note that today is a long drive, if you wish to split the journey, please discuss this with one of our team. 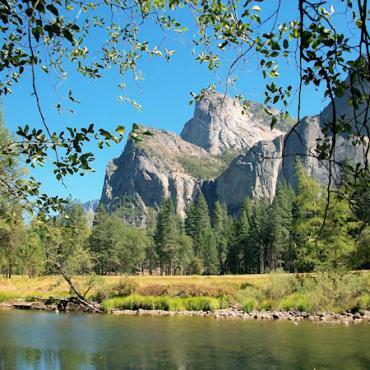 It's a scenic drive today to your next Californian national park, Yosemite. 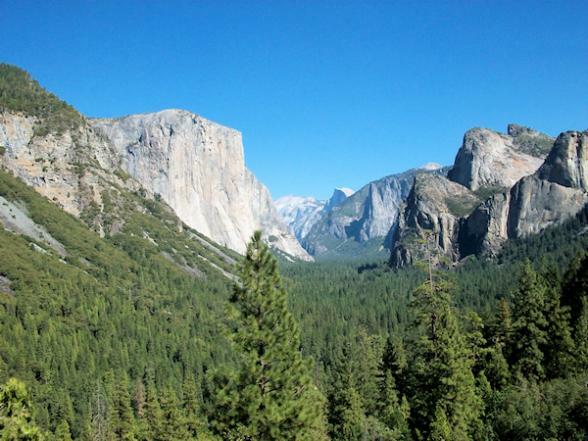 This World Heritage Site is the crown jewel of the USA National Park system. Internationally recognised for its breath taking granite cliffs, waterfalls, sprawling meadows and crystal clear lakes. This 12,000 square-mile park contains thousands of lakes and ponds, 1,600 miles of streams and 800 miles of hiking trails. 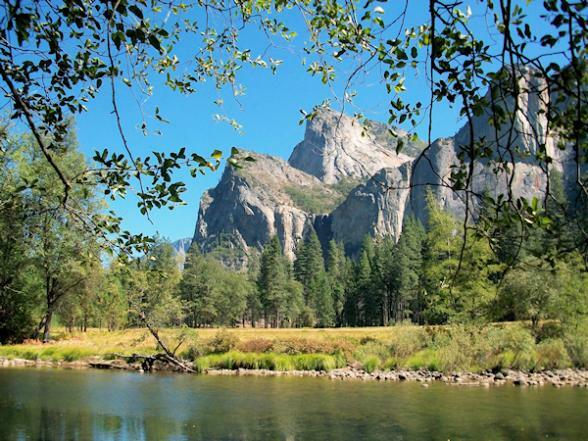 Your campsite here for the next two nights is nestled in the foothills of the Sierra Mountains, and is one of the closest campgrounds to Yosemite National Park on HWY 140. For a fabulous overview of the park, consider parking up your motorhome and hopping on a leisurely two-hour guided tram tour of the valley floor. Bike rentals are also available in the park. 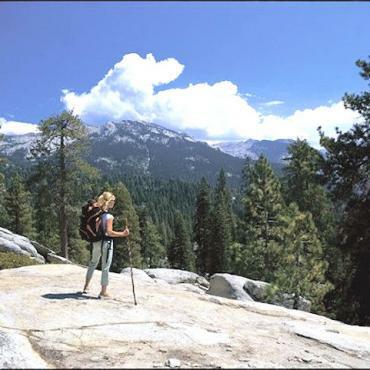 A must-do drive within the park is the Tioga Pass which is normally open late May to mid-October. 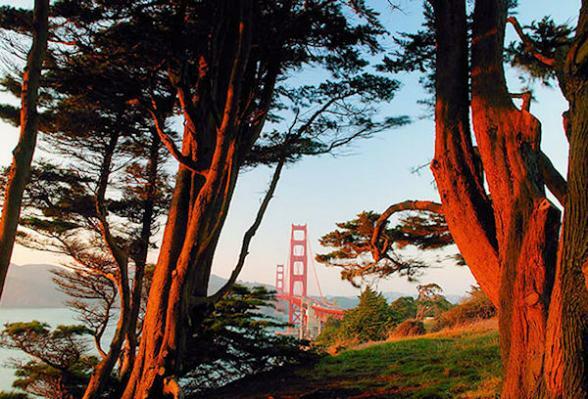 It's time to head back to San Francisco but before returning your motorhome back to the depot, you have one more relaxing night at the Anthony Chabot Regional Park which is located on 3,330 acres of parkland just 30 miles east of San Francisco. Overlooking Lake Chabot and set in a shady eucalyptus grove, the park offers kayaking, fishing, hiking, trail rides, golfing and nature programmes. Public transportation is available into San Francisco, please enquire for full details on this. Return your motorhome to the depot and board your early afternoon flight to the UK. This is the end of your tour, however, doen't have to be the end of your adventure. You may decide to spend a few days exploring San Francisco prior to collecting your motorhome or perhaps you may want to head over to the Hawaiian Islands for some relaxation before flying back to the UK. Call the travel specialists at Bon Voyage to discuss your ideal Pre-Planned Motorhome Holiday to California, Utah and Nevada.